There are many different possible causes for hair loss, and it is important to identify these causes to facilitate proper treatment. 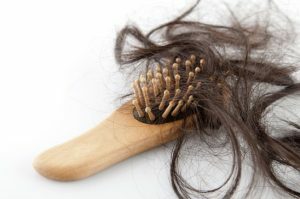 When you seek out treatment for thinning hair in Long Island, you might think about whether stress is a factor in your hair loss. As this video explains, stress can lead to hair loss, and time is the best treatment when stress is behind thinning hair. When stress hair loss takes place, you will see a loss of hair all over the scalp rather than isolated areas of hair loss, which are more common with genetic pattern baldness that will respond to clinical treatments.